Not much to report this week. I did give about half a yard of a pink dot batik to Sandi over at Kwiltnkats, for a project she is finishing. Still no finishes yet this month to claim. Good thing is, I have stayed out of the quilt shops, so nothing to add. 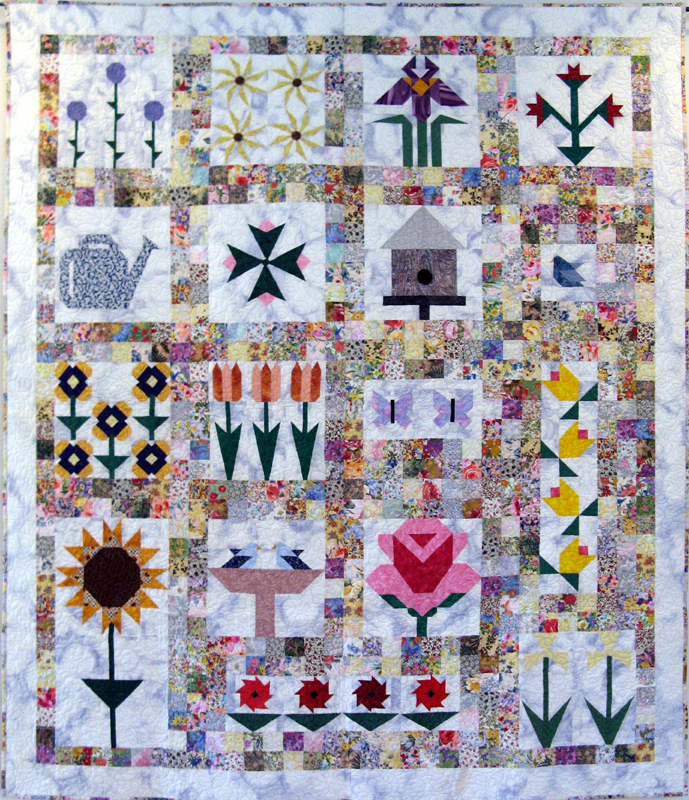 Thought I would share one of my favorite Spring Quilts that is now hanging in the house. This was a block of the month completed in 2005. 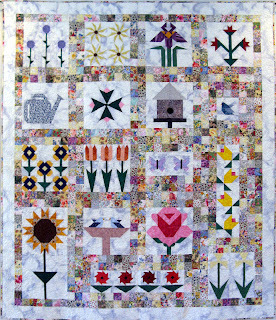 All the blocks were pieced- no paper piecing! Some were very challenging and I had to do them over a couple of times to get them right. How did you do this week? Check out all the other stash reports at Patchwork Times. So here are updated numbers. I just love this quilt. It's so happy. Your work is terrific...the bird bath is my favorite block! Brings a smile to my face thinking of how happy the birds are when they douse themselves with water. I'm sure you'll jump start your numbers soon.